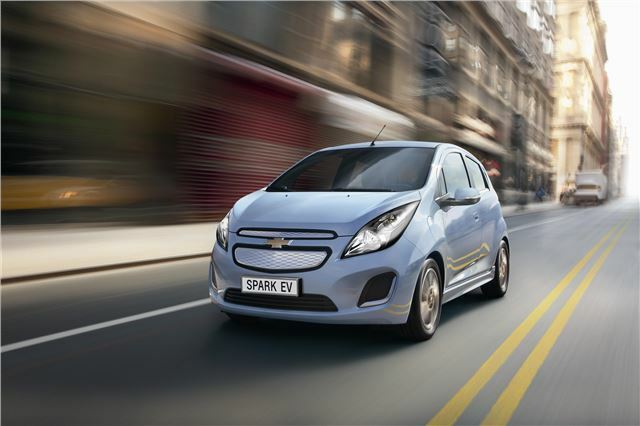 Chevrolet will display an electric version of its Spark at the 2013 Geneva Motor Show. The range hasn’t been confirmed but it can be fast-charged to 80 per cent in just 20 minutes, while a full charge takes six to eight hours from a 230V socket. Its peak torque output of 542Nm is impressive and power output is 130PS – more than any internal combustion powered Spark model. It features some high end technology to go with its electric powertrain, including two seven-inch touchscreens to control in car functions and entertainment, and Apple Siri compatibility for those with the right kind of iPhone. Chevrolet has confirmed that the car will go on sale in 2014, and that it will be sold in 'select European markets' but it has not confirmed the UK as one of those.